WinDar ... a new entrant in the aluminium service and supply sector. 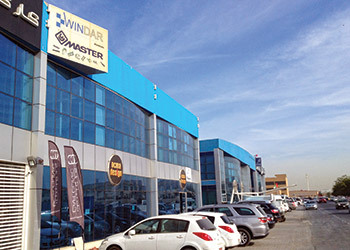 Given the increasing demand for high-quality, energy-efficient buildings in the region, WinDar says it has made it its business to supply the UAE market with some of the innovative window and door products and technologies from European leaders. The Dubai-based service-oriented company, a new entrant in the aluminium service and supply sector, supplies hardware accessories, rubber gaskets, polyamide strips for aluminium frames and other products from reputed companies such as Master, locks and cylinders from Welka Italy, EPDM gaskets and polyamide PA 6.6 strips for thermal breaks. WinDar is seeking to develop the domestic market through the establishment of strategic partnerships with many of the major companies operating in the aluminium market with the latest of these agreements having been with Qatar Extrusion to design a new aluminium system using Italian experts in this field. Master products have approval and certification from Abu Dhabi Quality and Conformity Council (QCC), Ministry of Public Works, Sheikh Zayed Housing Programme, main consultants and developers in this region. 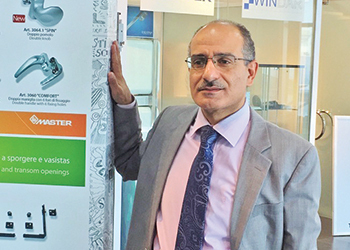 “Master, which produces accessories for aluminium-framed doors and windows, has grown steadily to become one of the leading producers for hardware and accessories in Europe,” says Ayman A Adeeb, general manager for WinDar. 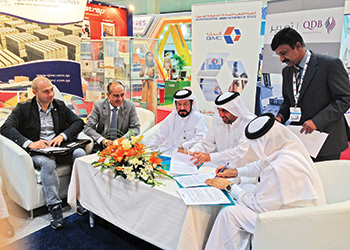 WinDar and Qatar Extrusion officials sign the agreement. Master has a research and development (R&D) centre equipped with a testing laboratory – MasterLab – which develops new products and works on improving the performances of the standard ones. MasterLab’s know-how is supported through partnerships with ITC-CNR (Institute for Building Technologies and National Research Council) in Italy and of IRcCOS (Institute of Research and Certification for the Sustainable Buildings) in Zamok, Russia. Backed by over 25 years of experience, Master offers more than 1,800 products which include automation systems, sliding systems, cremone bolts and handles and hinges and a host of other accessories. Its latest window automation systems include WiCloud interactive window control, a patented, intelligent, and invisible device that can be integrated into all modern home automation systems available on the market. The models available are WiCloud A/R, a tilt-and-turn window activated by remote control; and WiCloud, a motorised transom window with remote control or button control. Master also offers lift and slide systems such as the AS 200 – ‘200 kg Lift and Slide’, which is designed to combine high performance, manoeuvrability of the sliding mechanism, and fast assembly. “This ‘lift and slide’ mechanism has a patented adjusting system, which acts on the movement that raises the frame, making it easy to operate even when the window size and capacity varies. The device also eliminates the risk of any sudden return of the handle on closing it,” explains Adeeb. For customers that seek a tilt and turn system, Master provides the AR Duepuntozero with a capacity of up to 160 kg, in the ‘traditional’ and ‘logic’ versions. These can be integrated with Air 135, a new adjustable micro-ventilation device, designed to allow air circulation. Adeeb with a list of Master accessories. Master’s cremone bolt and handle offerings include its new Linea Italia and Soft Touch lines. “Epitomising Italian quality, Linea Italia handles are functional, have an innovative design and are available in all colours, including with a PVD (physical vapour deposition) coating, which ensures high resistance to atmospheric agents. It’s a universal and versatile product that allows a uniformity in design for all types of frames,” he says. Meanwhile, Soft Touch is a new line of cremone bolts, handles and hinges that combines innovation and design. “Its ‘click and turn’ spring mechanism (a patented system) enhances manoeuvrability,” he adds. Soft Touch is available in many pastel-coloured coatings which ensure high resistance to corrosion and features an anti-bacterial protection on the surface. Among Master’s hinges lines is Dinamika, which was created to combine safety, robustness, and easy installation. “It is the new hinge for doors, CE patented and marked, that can be installed for emergency exits. All its structural components are made of extruded aluminium, Zamak, and steel that make the system stronger and ensure its resistance to fire,” he points out.